Cilu Bintang Estate in the Banda islands is named after a princess popular in many Bandanese legends. Her name means ‘Beautiful Star’. Located in a remote corner of eastern Indonesia is a tiny archipelago that changed the course of history. 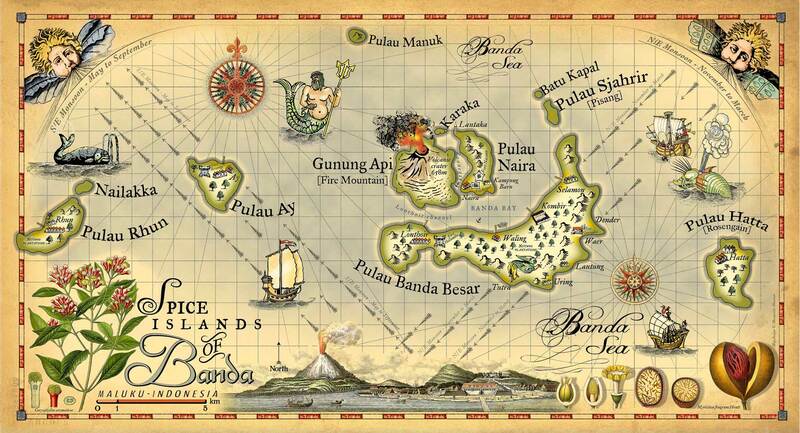 These are the Banda Islands, where the legendary Spice Routes originated. The Banda Archipelago consists of 11 islands ranging from Banda Besar – the largest – to tiny specks with only a few trees on them. 6 of the islands are inhabited. These islands are the remains of an enormous volcano. Each island has a special ambiance. 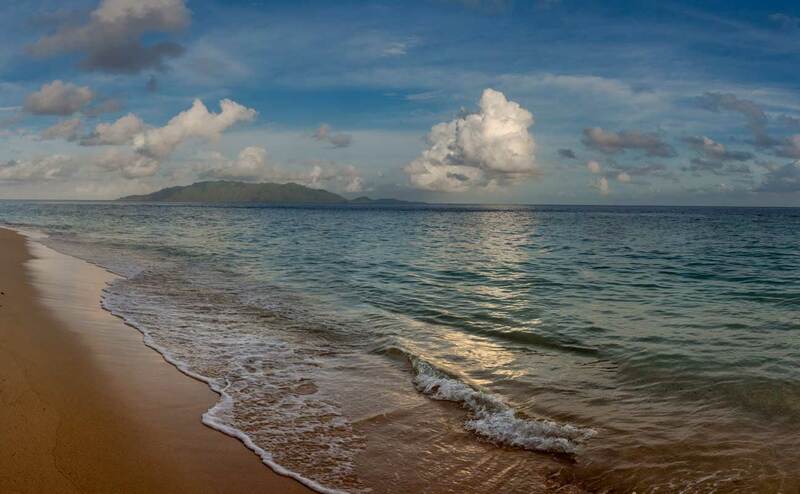 All provide magnificent snorkeling and diving from white sandy beaches. This little video was made by Pak Reza to showcase the relaxed atmosphere of the Banda Islands. Reza Tuasikal is the founder of The Nutmeg Tree Hotel & Dive, Banda Neira. Visiting the Banda Islands is a journey into a history so vibrant it still resonates throughout the worlds great cultures. Chinese, Arab, and Indian merchants traded with these islands for thousands of years before Europeans arrived to monopolize trade. Over centuries the Spice Islands entered into mythology. Early maps show the Banda Sea as a place where ‘here be dragons and leviathans’. Once considered among of the world’s most valuable real estate, European powers searching for the Banda Islands brought on the demise of great cities along the Spice Routes, the fall of ancient South American Empires, and the conquest of India. Visiting these islands that for thousands of years were the world’s only source of nutmeg and mace ̶ islands that changed the course of global history – is a magical experience. Elegant accommodation and superb cuisine make Cilu Bintang Estate the obvious choice among discerning travelers visiting the Banda Islands. 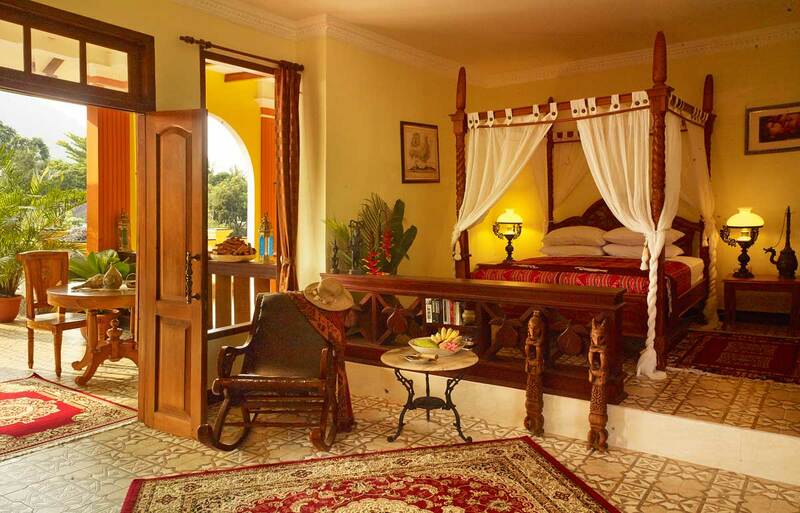 Bright airy rooms feature tall colonial ceilings and traditional antique style furnishings. Each mouth watering culinary delight is lovingly prepared from the freshest ingredients under the direction of a master chef. Lavishly presented from the sideboard, second – or even third – helpings are encouraged. From the wide range of activities available on the Islands, Cilu Bentang Estate crafts personalized cultural and historic tours, spice tours, photographic expeditions, adventurous island hopping and superb diving, or sport fishing, custom tailored for our guests.